If bending soft and half-hard metal sheet, tubes and rods into beautiful curves is what you do, this is the tool for you. 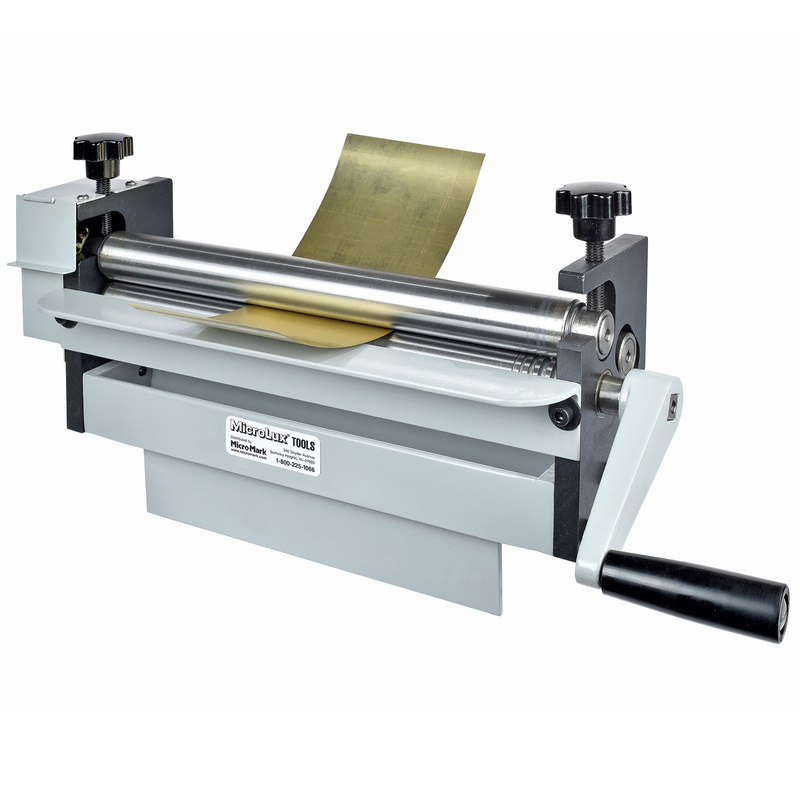 The big brother to our other rolling machines, this heavy duty 12" capacity model cleanly bends up to 1 mm thick (.039") brass, copper, aluminum and more. Includes 5 grooves for rolling out 3/64", 5/64", 1/8", 5/32 and 3/16" diameter tubing, but other sizes can be formed by selecting the groove with the closest fit. Instructions included. For stability and safety, Slip Roll must be held in a minimum 5" bench vise.